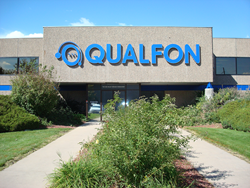 Qualfon, a mission-driven business process outsourcing (BPO) company and global provider of contact center services, has 150 employment opportunities in Fort Collins, Colorado that it aims to fill very quickly. On-the-spot interviews will be held on Tuesday, January 17th, 9 a.m. to 7 p.m. at the Cambria Hotel & Suites located at 2921 E. Harmony Road, Fort Collins, CO 80528. This is a casual work environment and a casual job fair event to help you get to know Qualfon. Qualfon, a mission-driven business process outsourcing (BPO) company and global provider of contact center services, has 150 employment opportunities in Fort Collins, Colorado that it aims to fill very quickly. The contact center job opportunities include customer service and inbound sales positions serving some of the largest consumer brands across multiple industries. On-the-spot interviews will be held on Tuesday, January 17th, 9 a.m. to 7 p.m. at the Cambria Hotel & Suites located at 2921 E. Harmony Road, Fort Collins, CO 80528. Walk-in applications are welcomed and will be interviewed on a first come, first served basis. Scheduled interview appointments are also available after applying online. Premium appointments with scheduled interview times will be provided to those who apply online in advance at http://www.QualfonJobs.com. Qualfon will contact applicants to schedule an appointment and will review their applications before the interview. Recommended: Please bring to the job fair two forms of identification and a resume (paper or electronic). Inbound calls only—Qualfon employees don’t call customers, customers call Qualfon employees! “This is a casual work environment and a casual job fair event to help people in the community get to know Qualfon. So, we encourage anyone who thinks they might be interested in working here to come in, complete an application and speak to our hiring team to see if Qualfon is the right fit,” said Janet Dickinson, Talent Acquisition Manager, Qualfon Fort Collins. Qualfon Cares. That’s it. Qualfon is entering its next phase of growth and seeking people who are interested in joining a company that cares. Qualfon’s mission to be the best BPO and make peoples’ lives better means it invests in every employee, family, and community. Qualfon cares for its employees who take care of clients and their customers. Come join the Qualfon family. Qualfon cares for our employees who care for clients. Qualfon has a world of opportunity with locations in the USA, Mexico, Guyana, and the Philippines.